Damn, I like love this photo. 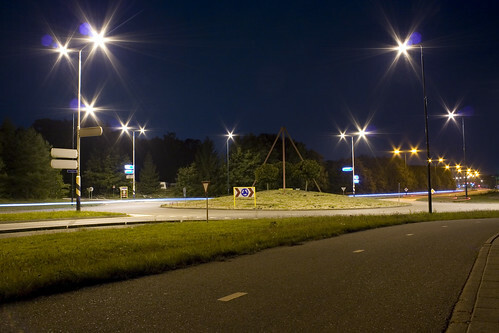 As pointed out elsewhere on this blog, this is a road — in the land between Utrecht and Amersfoort — that I used to live on. The particular stretch I lived on had a double problem. One one side of the property, you had the sounds of traffic, and on the other side, a mile or so away, you had the Soesterberg Air Force Base runway, where American F-16s and Dutch flown Harrior jets routinely took off. Windows where inches thick, because of it. A convent was near the home, as well as Apollo, the the American Military Housing Area.